Tinfoil has been a campfire staple almost since its invention in 1910 (one of its first uses was to wrap Swiss chocolate bars, which makes its importance in history undeniable). You can find recipes all over the internet of different hobo dinners, tinfoil barbecues, and tinfoil-wrapped campfire desserts. But what if you get to your campsite, pull out all the food, and realize you forgot the tinfoil? All is not lost! 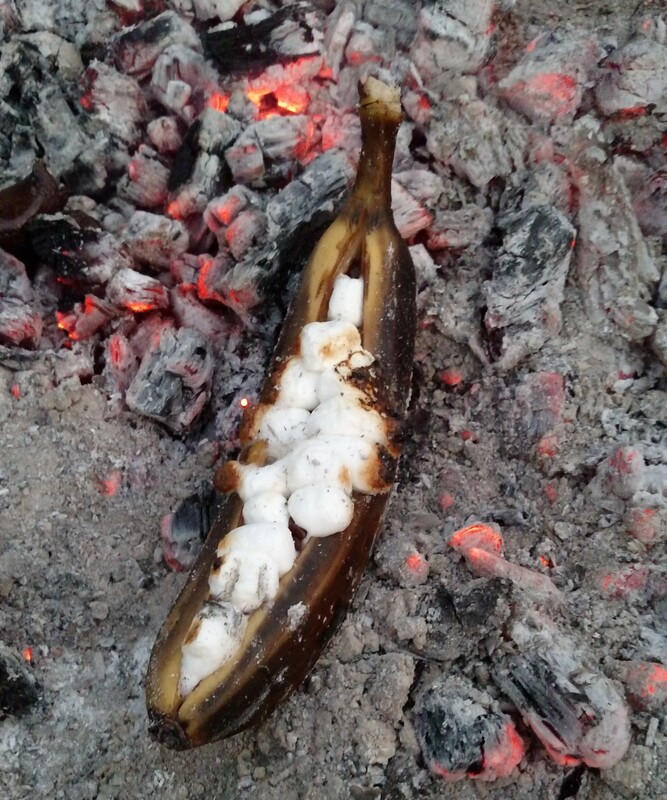 We spent the weekend experimenting with different campfire foods that can be cooked in a fire without tinfoil. Naturally, we started with dessert. Fruit is great for tinfoil-less cooking because the peel offers some protection from the coals. 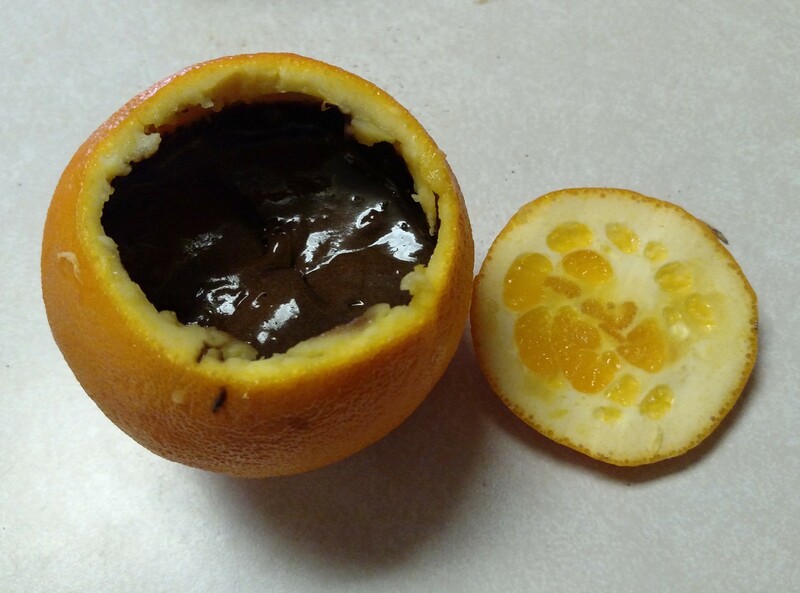 I’ve made variations of this cake with Scouts for years, but we’ve always wrapped the orange in foil before cooking it. 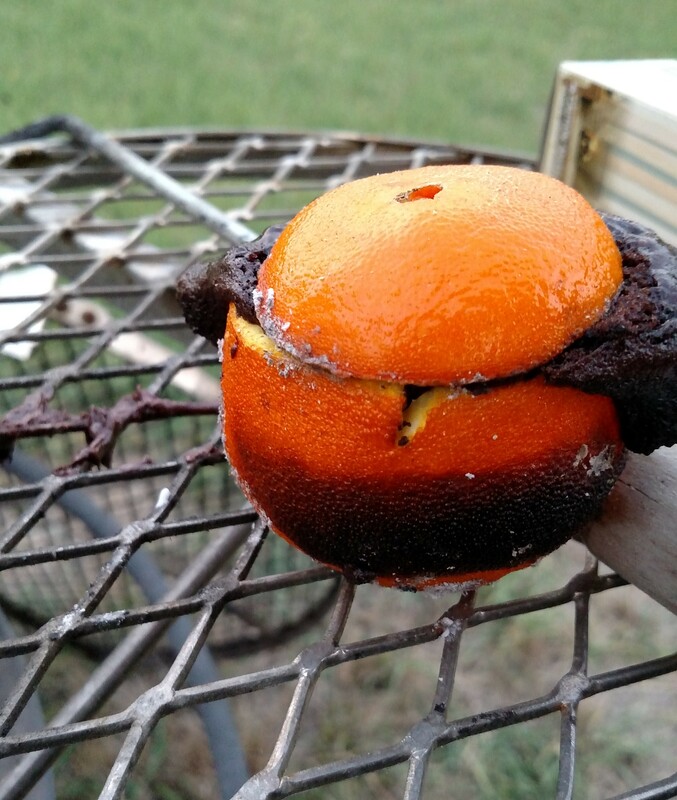 Turns out, the peel is thick enough that you really don’t need the foil as long as you’re careful to set the orange flat on the coals so it doesn’t tip over. Cook for about 10 minutes, turning frequently for even baking. Check the cake after five minutes and every couple minutes after that for doneness. If desired, after five minutes of cooking remove the top and add chocolate chips and/or marshmallows and allow to continue to cook until chocolate is melted and marshmallows are toasted. 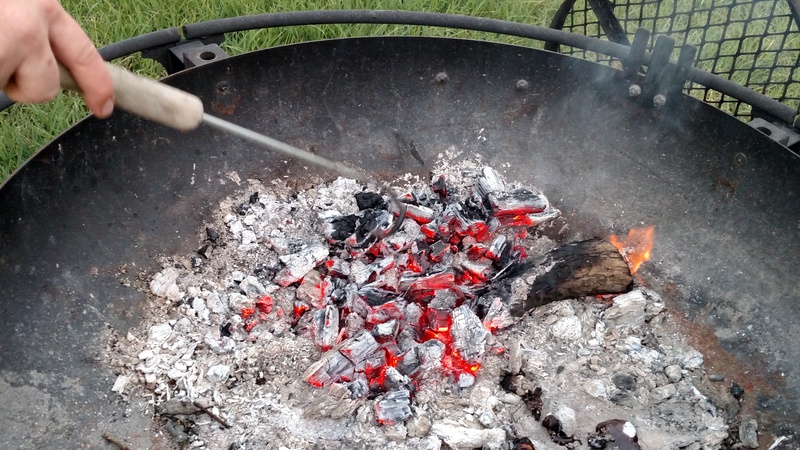 Remove carefully from the coals and allow to cool enough to not burn mouths before serving. The cake was perfectly cooked with a hint of orange flavor. The peel did its job very well; there was no sign or taste of burned cake anywhere. 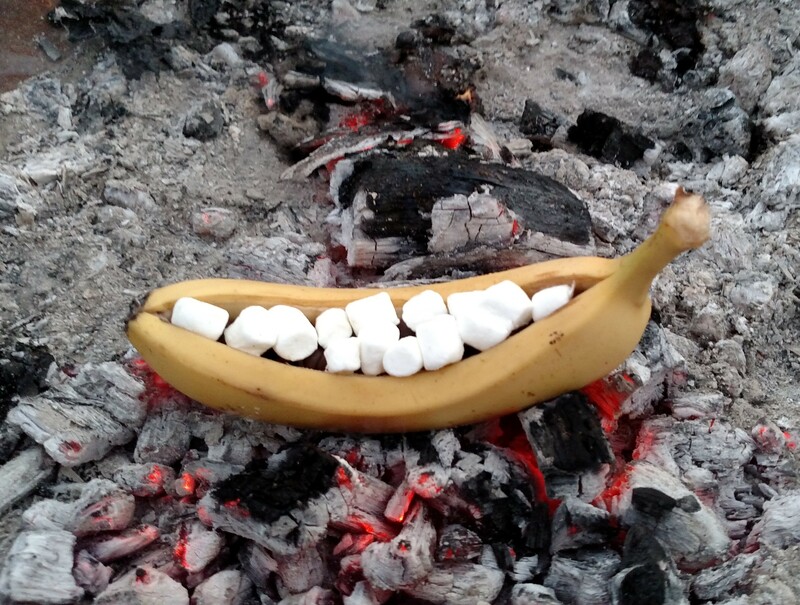 Banana Boats are our go-to campfire dessert, so naturally we had to try the tinfoil-less version. We were worried about burning everything, so we bought extra bananas just in case. Turns out, we had nothing to worry about. Do not be alarmed by the blackened peel. The banana inside is perfect. Cook until the fruit is soft, the chocolate has melted and the marshmallows are browned and toasted. Carefully remove from the coals. Eat it with a spoon. Make another. Repeat. The banana was soft and delicious and the chocolate melted perfectly. What really made these stand out, however, was that without the tinfoil the marshmallows were crispy and delicious. So don’t worry, forgetting your tinfoil isn’t the end of the world. Stay tuned for other foil-less campfire options, including non-desserts for those who want to eat more than fruit and sugar on a weekend camping trip. For example, did you know you can cook a steak directly on the coals? We tried it. You can read more here.